View More In Hand Wash. The WAXIE Elegante! 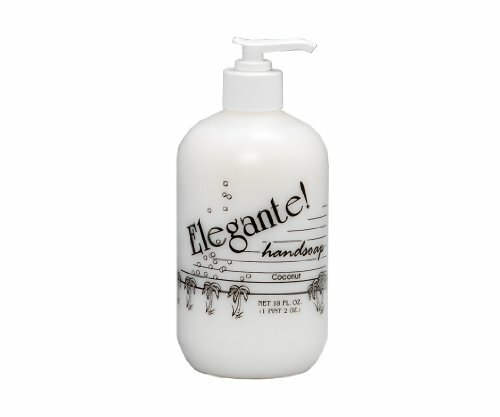 Liquid Hand Soap helps remove dirt, residue, and bacteria from hands. Coconut fragrance. Comes in an 18-ounce pump bottle that dispenses small amounts of soap at a time. The case includes 12 pump bottles. WAXIE Sanitary Supply manufactures sanitary and janitorial supplies, tools, and equipment. The company, founded in 1945, is headquartered in San Diego, CA. If you have any questions about this product by Waxie, contact us by completing and submitting the form below. If you are looking for a specif part number, please include it with your message. Dial Professional Antimicrobial Foaming Hand Soap, Refill, 1 Gallon - Includes four per case.